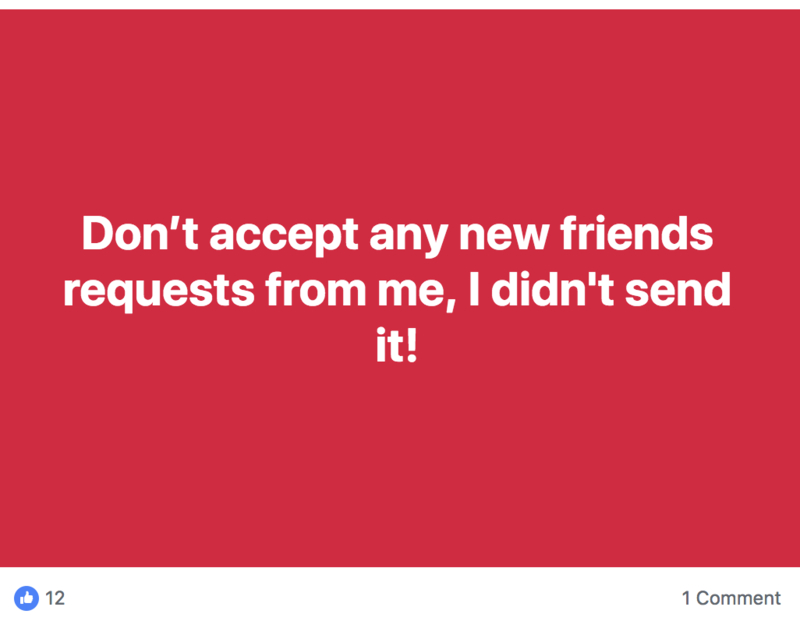 If you have been on Facebook over the past week or so you have seen dozens of your friends / family post messages that say “Don’t accept any new friends requests from me, I didn’t send it”. On the heels of an actual Facebook hack that affected between 50 million and 90 million people, where FB admitted data was compromised and FB force logged out all those affected, most people will tend to believe anything. Unfortunately, that is what is causing this latest scam message to propagate this week. 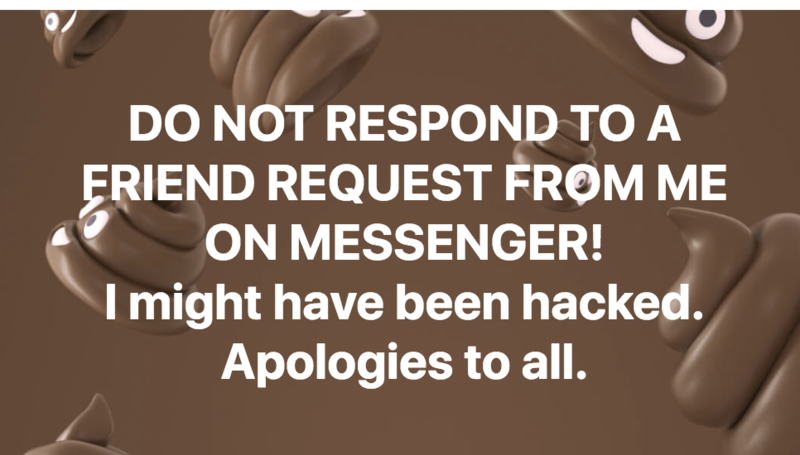 Today’s post Alert: Your FB May Be Hacked Messages Scam/Hoax will try to explain the scam and also what you should do to make sure you aren’t hacked. So to make it perfectly clear, if you see messages like this, ITS A HOAX / SCAM. Do NOT propagate it!!!! Check The Security and Login section. 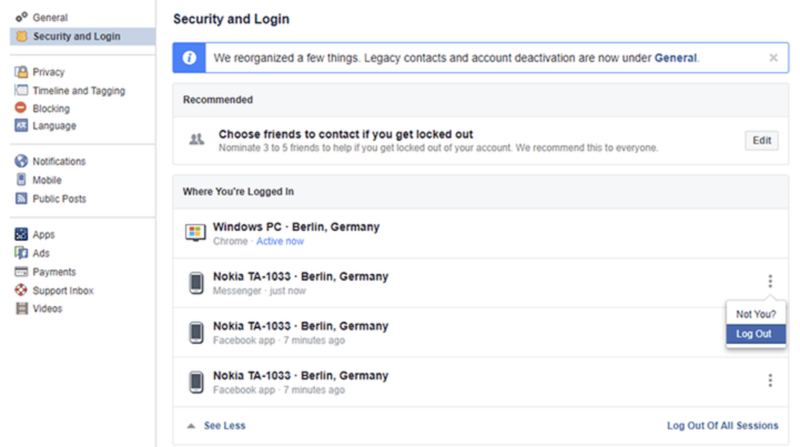 In Facebook settings, you will find a security and login section that will list all the locations you have logged into your account from. This will include the device type, and city of login. NOTE: the city could be off a little bit based on ISP’s identifying the city next to yours, as your location. So if you see the town next to your town, don’t panic. If you see a city in another state or another country and you haven’t been a tourist, then you worry. So when you go to the security and login tab, you will see the option to “Log Out” of all previous sessions. If there is somewhere or a device you just don’t recognize, log out. You also have an option to log out of all sessions, this will log you out of all of your sessions and require you to log back in. If you see a location you really don’t recognize, log out of all sessions -> log back in -> change your password. To change your password, in the same Security and Login section your will find the change password section. Just click edit and change your password. Suggestion for the password (and most of you will NOT like this), USE A PASSWORD THAT YOU ARE NOT USING ON ANY OTHER SITE. Yes that means you will have to remember more than 1 password. Do a search for your name, see if you see more than 1 profile of you. Keep in mind, many people around the world may have your name, so your name my be listed many times over. However, if you see your name and your profile pic, its time to do some investigating to see if someone has cloned / photo copied your page. If you do find 2 (or more) pages that are identical, then yes, someone is trying to use your info as a scam. Reporting a fake profile, page, messenger account. If you do come across a fake profile, page or even a messenger account, report it to Facebook. With everything going on, the one thing FB is taking seriously is fake accounts. 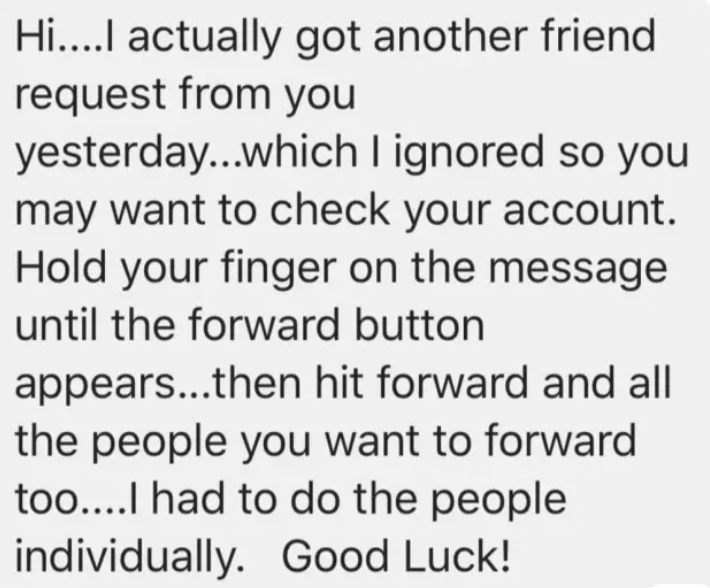 Unfortunately, there is specific ways to report profiles vs pages vs messenger. Reporting fake page. To report a Facebook Page that’s impersonating a public figure, please fill out this form. Reporting fake Messenger messages. If you happen to get a fake message on messenger, Facebook has this link with steps to report the message.